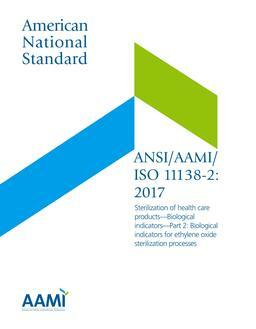 This recommended practice provides guidelines for the selection and use of liquid chemical sterilants (LCSs)/high-level disinfectants (HLDs) and gaseous chemical sterilizers that have been cleared for marketing by the U.S. Food and Drug Administration for use in hospitals and other health care facilities. Included within the scope of this recommended practice are functional and physical design criteria for chemical sterilization and high-level disinfection processing areas; staff qualifications, education, and other personnel considerations; criteria for selecting LCSs/HLDs and gaseous chemical sterilizers; safety and efficacy considerations in the use of LCSs/HLDs and gaseous chemical sterilizers; preparation of devices for processing by chemical sterilization or high-level disinfection; quality control methods; and quality process improvement. Definitions of terms and informative annexes are also provided.